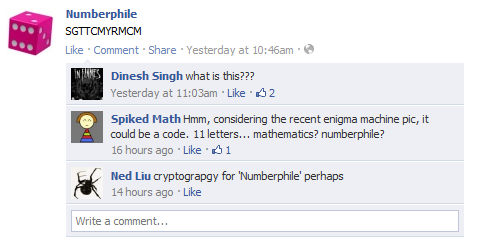 Numberphile posted “SGTTCMYRMCM” on its facebook page the other day. Assuming this is a code, see if you can figure it out! Whoops, replied to the wrong comment..
Code breaking is very mathematical?